Last year I set out on my first overseas adventure, and it was on this trip that I learnt how to pack appropriately, or should I say, inappropriately. I left the comforts of my day-to-day and headed for Southern Africa with everything I thought I would need. Turns out, everything I thought I would need, was exactly the opposite of what I did in fact need. However, there were a few items in my pack that were incredibly beneficial as a traveller. Here is a list of some of the most beneficial and essential items I packed (or didn’t pack and bought in Cape Town), so you don’t find yourself in a foreign country with everything you don’t need. Lush make fresh, handmade cosmetics derived from ethically sourced ingredients. Sounds fantastic already, doesn’t it? Well, what if I told you Lush has essentially eliminated the travelling toiletries issues. Solid shampoo and conditioner is heaven on earth for backpackers, as it eliminates the need to lug heavy, liquid-filled bottles around, which may spring a leak all over your only good dress on the flight from Vancouver to Madrid. Solid shampoo and conditioner bars are compact, easily-transportable, smell unbelievably delicious and last up to 80 washes! They come with a little especially designed metal container to keep them safe. Simply wet your hair and the bar, before rubbing the bar on the roots of your hair, for a spectacular lathery shower sensation. When you’re done, let the bar dry before returning it to its trusty box and hit the road again. Apparently, I have a thing for solid toiletries. Ditch the tube of sticky paste and upgrade to a new and improved model – Toothy Tabs. A Toothy Tab is a bite-sized, preservative-free, solid toothpaste. Pop the tab between your front teeth, crunch it and brush your pearlers. Easy as that. Lush provides me with some of the most sensational travel toiletries, but it’s not just the products I am in love with, but also their ethos. Lush uses sustainable, fresh and ethically sourced products and is vehemently against animal testing – just the way I like my trips to the bathroom. If you are unfamiliar with Lush, introduce yourself and I guarantee you will become best friends immediately. Biodegradable, sustainable and non-toxic – what a toothbrush! 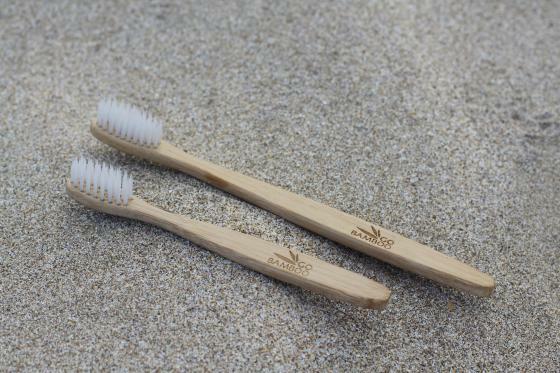 Go Bamboo toothbrushes are made of natural, sustainable bamboo, making them a fantastic alternative to plastic toothbrushes which cannot decay, therefore polluting our oceans and landscapes. Just as importantly, however, it is much healthier for you to be putting a natural substance in your mouth instead of harsh chemical plastics. Go Bamboo toothbrushes are light-weight and clean your teeth magnificently! I don’t go anywhere without my Go Bamboo! Go Bamboo was invented in my hometown, so check them out. Coconut oil is so versatile, it is totally worth the weight. Coconut oil is all of the above and more. Google some of the uses for coconut oil and see how many products you can leave at home. Either purchase a pot before you go, or when you reach your destination get your hands on a tub at a local vendor, possibly at a fraction of the price. 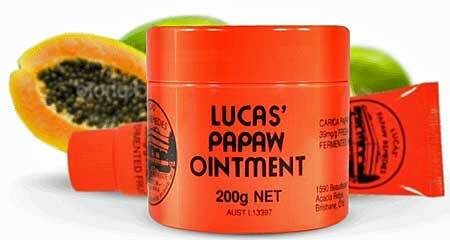 Lucas’ Paw-Paw Lotion is an antibacterial and antimicrobial wonder-ointment. Lucas’ Paw-Paw Lotion is beautifully soothing and can be used for much more! Note: I believe this product can only be bought in stores in New Zealand, Australia, Malaysia and Hong Kong; however it can be purchased online through the above website. Tea tree oil is antiseptic and antifungal, making it the perfect travelling companion. Forgot to wash your socks and given yourself athlete’s foot? Apply tea tree oil to the infection a few times daily and it should clear up within days! And take that as a lesson to wash your socks more often! Busted out in acne? Dab tea tree oil on each pimple and voila! Forgot the mozzie spray? Use tea tree oil as an insect repellent! Apply to cuts, scratches, bites, and infections, and use as a foot/shoe deodorant. There is one thing I should probably tell you – it will, without a doubt, sting on open wounds! Just think of all those nasty bugs dying, allowing your skin to heal! I use Bosistos’s spray and pure oil; however, any organic oil will do the trick. Love the updates on the solid shampoo bar…wth…who knew huh?